A little while back I started a new project that I have been longing to make for quite some time. 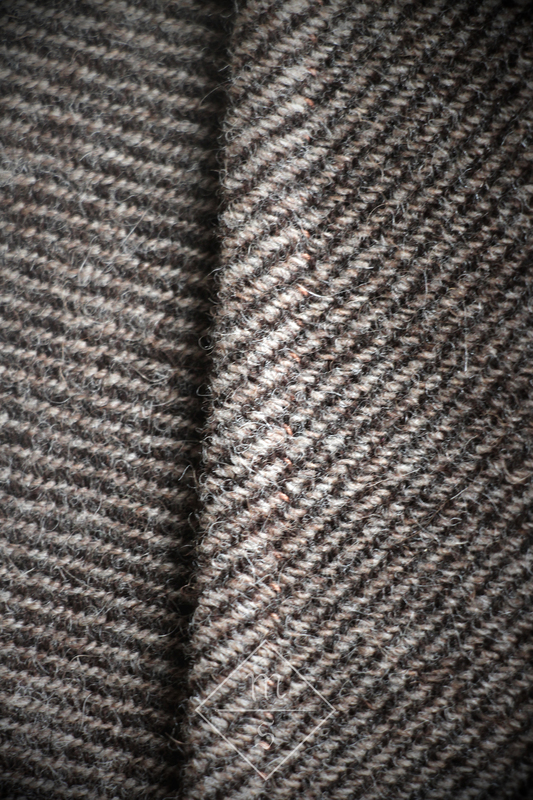 A few years ago I bought this lovely twill fabric with a beautiful handwoven feel to it. It had always been the plan to make a new cote or rock (in Medieval Dutch) for Mr. B., but it somehow never happened. I did pre-wash the fabric last spring. But that was it. Until I decided enough was enough. I took the fabric and some books, a measuring tape and chalk. The cut I chose is loosely based on Herjolfsnes 33 (Museum no. D5674) and Herjolfsnes 37 (Museum no. D10579). It consists of a rectangular front and back panel (about 50 by 100cms) and four side panels/gores (2 on each side). In total the circumference of the hem will be about 200cms, so a bit more narrow than the originals. I still have to cut the sleeves, but they will be simple sleeves with a triangular gusset inserted in the seam. After cutting the main part of the cote, these are all the leftover snippets I have. The Herjolfsnes clothes really do make very economic use of fabric. The fabric has a rather loose weave and frays very easily. Since the cote won't be lined I wanted to use a stitch that would prevent fraying. I first tried a flat felled seam, but the seams got too thick. 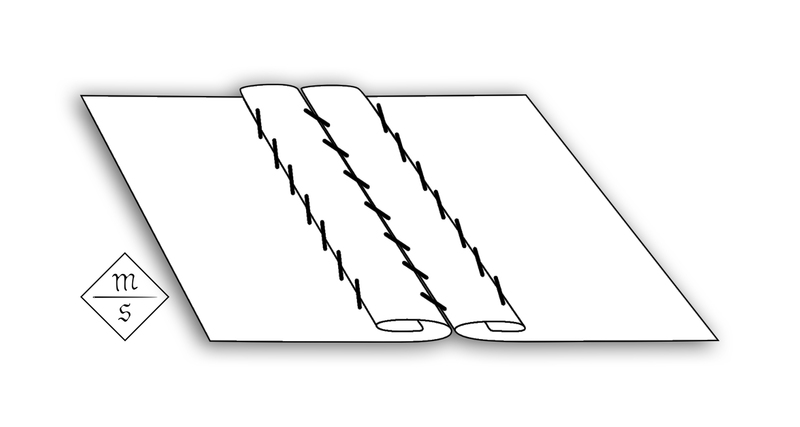 I prefer flat felled seams for linen or very fine wool. I finally decided to go with a variation on a regular hemming stitch over double fold fabric, also called 'overcast of double fold hem with hem stitch'. 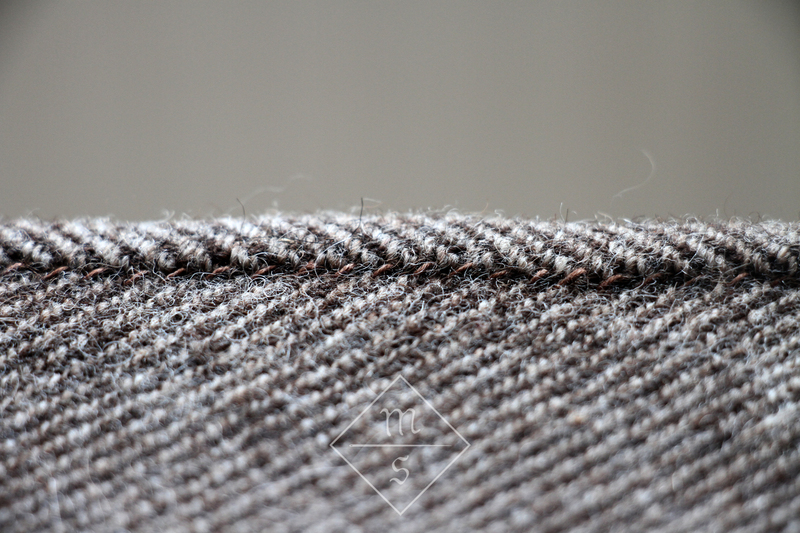 This stitch has been found on fragments from Haitabu (see: I. Hägg, Die Textilfunde aus dem Hafen von Haithabu. Berichte über die Ausgrabungen in Haithabu, Bericht 20. Neumünster: 1984). Haitabu is, I agree, a bit early to use as a source for a fourteenth century cote, but since double fold hems do appear regularly on later garments I thought it a reasonable choice. 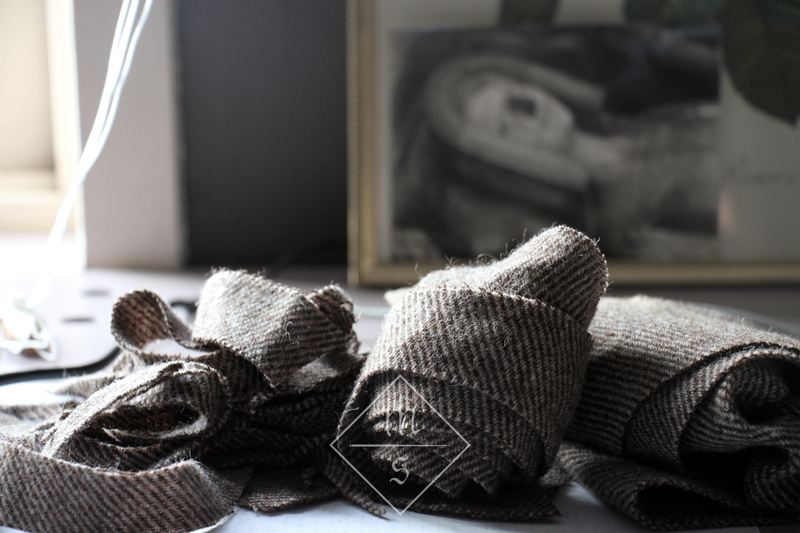 First, I hemmed all the individual pieces using a pale brown linen sewing thread. 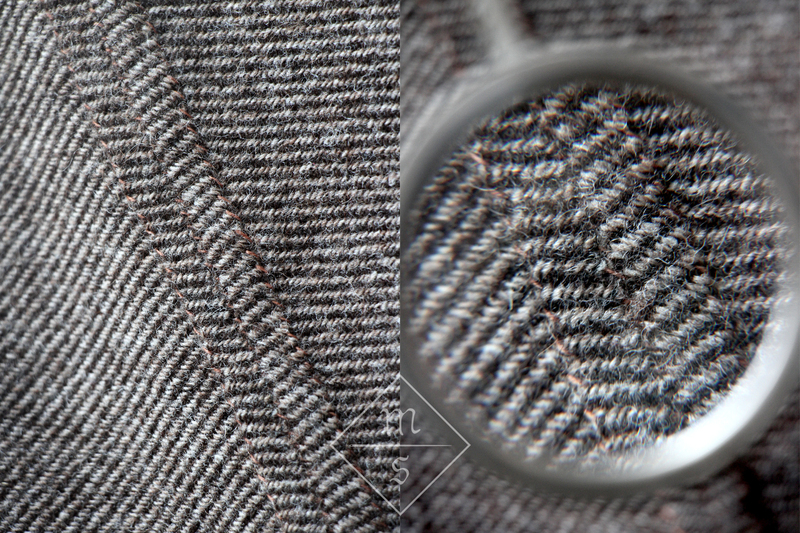 The hems are about 6-7 mm wide. Usually I use natural undyed linen for my sewing, but I still had a roll of this colour on hand, and there are sources indicating for brown linen was used as well. 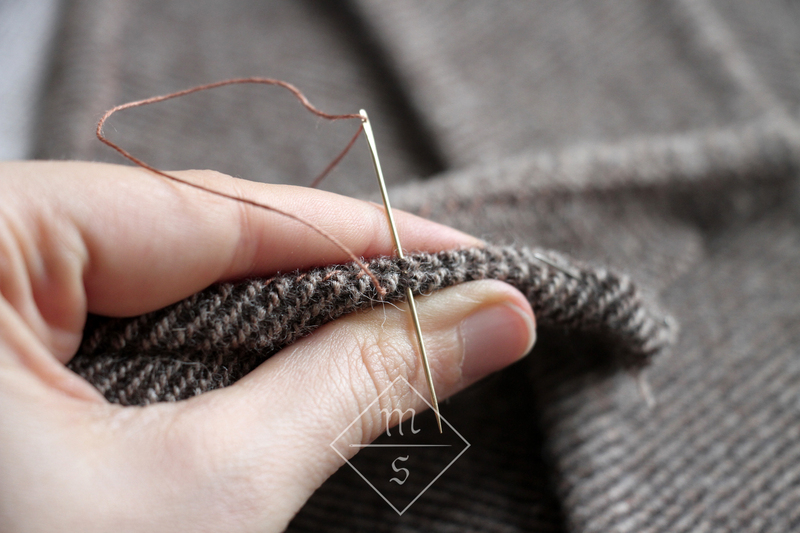 The next step is to sew all the pieces together using an overcast or whip stitch. I find this method very easy to work with, and it gives a very neat and tidy end result. Also, whip stitch has always been my favourite stitch, so this project really is a little piece of heaven for me. As long as I don't have to do back-stitch I'm happy. Each sleeve will have eight buttons at the wrist, so I already started making those as well. I will keep you updated about the progress! 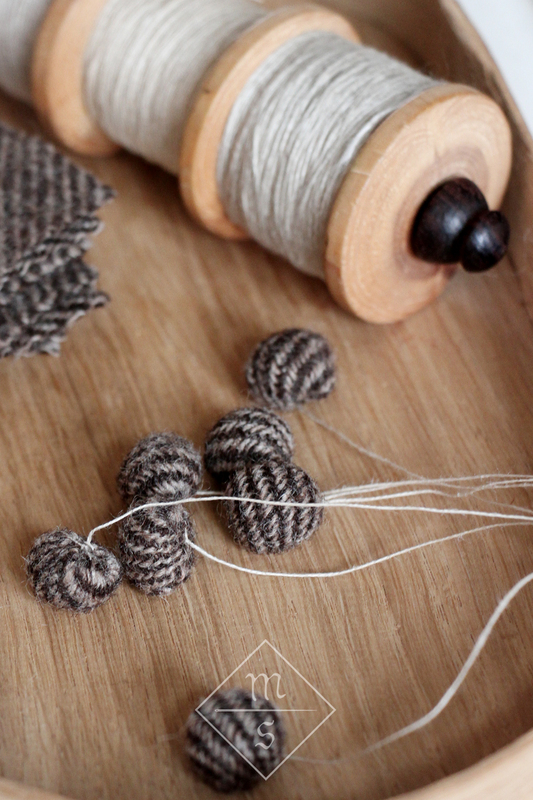 For the same outfit I've also started making a little hat and the man is making an unbleached linen apron for himself. * The numbers indicated with a question mark are my own interpretations. When A.A.M. Schmidt Ernsthausen transcribed the accounts in 1981 he indicated that these numbers weren't clearly legible. Throughout the accounts 1 to 1,5 ells of fabric are bought for making 1 pair of hosen. The xxxii shillings were transcribed by Ernsthausen as xxvii shillings. When calculating the price per ell and the total sum spent on the linen fabric, according to Ernsthausen's transcription the total amount of fabric would have been 2.5 ells of fabric. I suggest a reading of xxxii shillings, which would bring the total amount of fabric to 3 ells, an amount of fabric which is regularly bought for this purpose by Jan van Blois.